Alexander von Mühlendahl is currently with the Munich firm of Bardehle Pagenberg Dost Altenberg & Geissler, but is best known for his work as vice president of the Office for Harmonisation in the Internal Market (OHIM) in Alicante between 1994 and 2005. He was the chief German representative during the negotiations leading up to the adoption of the legislation on the European Community Trademark (CTM) system, and has also been instrumental in explaining and developing the CTM system. Through his well-founded pleadings before the European Court of Justice and the Court of First Instance, he also influenced and shaped the jurisprudence referring to the CTM. 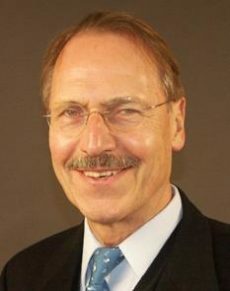 Prior to his time at OHIM, von Mühlendahl had a distinguished career in the German Ministry of Justice as head of the division for Trademarks and Unfair Competition Law from 1985 to 1994. He was the principal author of the German Trademark Reform Law of 1994. In his honour, the main library at OHIM has been named the Alexander von Mühlendahl Library.